The Georgia Motor Vehicle Crash Report requires that officers set out where each occupant of the vehicle is located before the crash occurred. This information helps identify where a passenger may have been hit, which, in turn, may indicate the type and severity of the injuries that they experienced due to the crash. There is a diagram in the Georgia Uniform Motor Vehicle Accident Report Training Manual that is labeled with the various codes that affect seating position so officers can see which direction terms like “left” and “right” refer to. The directions are based on if someone was sitting in the vehicle. That is, the left side is the same side on which the driver sits. *Category 9 – Non-Motorist—was added in 2018. It will generally address those who are involved in an accident like pedestrians and bicyclists. Although other vehicles may have variations of seating, the officer much choose the closest description to meet the circumstances. For example, if the car has a third row of seating, the passengers in the third row would still likely be considered as sitting in the “rear seat.” But, that can be confusing if there are passengers in the second row of seating as well. The officer will have to use the notes or comments section to describe where each person was located before the incident occurred. They might also put a code of “other seat” for this type of situation as well. Although technically every motorcycle rider is “riding on vehicle exterior,” this category isn’t used for motorcycles. Instead, it’s specifically used for anyone riding on the trunk, hood, or another part of a car or truck. Seating position can have a dramatic effect on the injuries that a passenger experiences because of a car accident. For example, if the crash was a side impact on the right side, the passenger is likely to be more severely injured compared to if they were sitting on the left side (behind the driver) of the vehicle. 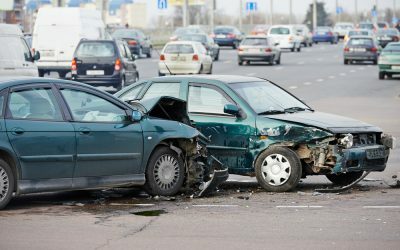 If you have been involved in an accident, even if you were a passenger instead of a driver, you likely have legal rights that can help you deal with injuries after an accident. John Foy & Associates can help you get this process started. Fill out the form to your right or call us at 404-400-4000 to get your FREE consultation today.